In this acrylic artwork I use a lot of Indigo. My subject was foal Gogh, I tried to give it a soft appearance with a special brush technique. The original Foal Indigo has hung in the CODA Museum in Apeldoorn for a while, as it was selected amongst others for exhibition by Art Magazine Palet. 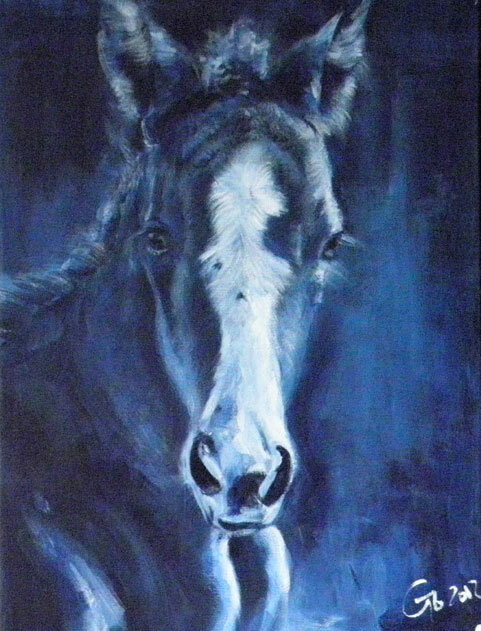 Horse, Horses, Horse Art, Horse Painting, Horse Paintings, Foal, Foals, Foal Art, Foal Painting, Foal Paintings, Modern Foal Art, Acrylic Horse Art, Equine Art, Equestrian Art, Hippique, Foal Indigo by Go van Kampen.